Charleston Power Yoga is excited to be a featured fitness destination on ClassPass in Charleston. 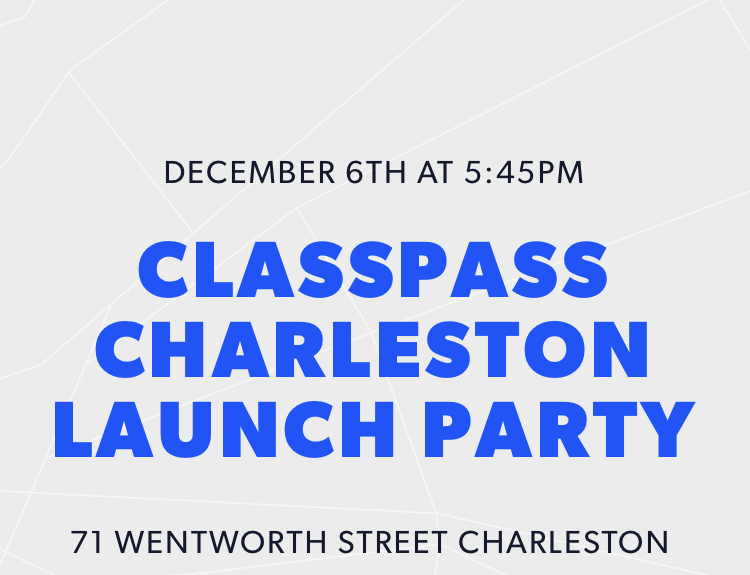 Join us at the ClassPass Launch Party on Thursday December 6th at 6pm. Pure Barre will be leading us through a 30 minute barre session, followed by Beth Plante, owner of Charleston Power Yoga, leading us through a signature-CPY power yoga flow. This event will be at Candlefish’s beautiful Wentworth Street location! Barre and Yoga will be followed by healthy snacks, swag bags and a chance to win a free year of ClassPass!